I recently purchased a truck from North End Auto sales, I am located an hour away and it was worth the drive. I dealt with Jamie and he made the car buying experience for me; a first time buyer so easy and less nerve wrecking. Jamie was wicked helpful and showed me things about the vehicle that I wouldn’t even have thought to look at. Entire staff was incredible and would recommend them to anyone. Thanks again Jamie! Jaime K. simply made my second car buying experiencing with North End Motors a great one! Jaime was able to help me every step of the way with ease and I walked away with a new car with no doubt that Jaime provided me with a great deal. Jaime gave me my most memorable car buying experience to date. Jaime helped my husband and I find new cars after moving to MA only a week ago. Both cars were beautiful and Jaime made the process very easy. North End motors doesn’t feel like your typical car dealership and there is no pressure to buy. This has been the most pleasant car shopping experience I have ever had! North End Motors was a great place to buy my first car. Danny was very helpful and responsive throughout my car search. He put in the time and effort to help me find the right vehicle. Thank you and would definitely recommend North End Motors to anyone looking for a quality used vehicle for the right price. Great Experience! Danny McCormick, the sales agent was excellent...very professional, helpful and informative. He answered all my questions and concerns. He was very knowledgeable about the vehicle I was looking at. I decided to purchase the vehicle the same day I test drove it. Dealership was as clean as their cars. Will definitely recommend this place to family and friends. Quickest and easiest car buying experience ever. Jaime was awesome, he took the time to answer my million questions and made sure I was very comfortable with everything before we signed papers. Would recommend North End Motors to anyone who does not want to go through the typical back and forth at a regular car dealership. Welcome to North End Motors, the head dealership in Boston MA for a wide variety of pre-owned vehicles. Our wonderful automotive team is proud to make the extra effort in pairing car buyers like you with the right automobile for their particular situation. If an older car model, the latest pickup, or sport utility vehicle (SUV) has intrigued you or staying within your budget is an absolute necessity, we are certain you will not find a more inviting and stress-free place to shop for your next vehicle in Boston than at North End Motors. Looking forward to owning the car you have been wanting for quite awhile now and learning about how we can help make that happen? Give us a call at 781-209-6762 to speak with one of our friendly staff members and ask any questions you may have regarding the selection found here on our site, as well as what to expect when you plan a visit. Countess buyers across Boston are often unsure which pre-owned vehicle is the perfect fit them. This is why North End Motors stocks the largest inventory of cars, trucks, and SUVs in the local area. So whatever type of automobile you are in the market for, in all likelihood it is parked at our lot and ready for you to turn the ignition. None the less, offering abundant options for stylish sedans to long-lasting pickups does not matter if they fall below the highest quality standards. At North End Motors, dependability, durability, and performance are the cornerstones of our used cars. Each pre-owned vehicle goes through a comprehensive inspection process to thoroughly check every bolt, gear, shock, and part. What this means for you is added assurance in selecting North End Motors for a used automobile that works as close to new as possible. While providing the premium array of pre-owned vehicles in Boston MA is essential to enticing prospective customers, the other half of delivering a fantastic dealership experience involves excellent customer service. Our courteous, respectful automotive professionals will never use unrelenting sales tactics or hard-hitting pitches on you in order to close the deal sooner. We are simply here to help guide you in anyway and share facts on the used cars that interest you without being rude or pushy. Other dealerships might have no qualms about employing such shady methods. But, the honest men and women who come together at North End Motors to meet your car buying needs value treating every customer like a member of the family. You can take as much time as you want to look through our expansive inventory. Once you have narrowed down your choices, we will go over the additional steps that lead to you behind the wheel of your new pre-owned car. Research and Planning Pays Off in the Long Run – We all know it is fun to window shop, but you can eliminate any doubts about your decision by discussing the features and history of the used vehicles you are interested in purchasing with one of our automotive experts. Never Hesitate to Ask a Question – In tune with research, feel free to ask whatever questions you want to receive the necessary details concerning car purchases. North End Motors will always give you straightforward, honest answers that address your specific concerns and reservations. Iron Out Your Financial Situation Beforehand – Knowing the exact state of your finances in advance of visiting our dealership is highly recommended to prevent wasting your valuable time looking for an affordable pre-owned vehicle in the Boston MA area. Seek Advice from Those Who Have Been in Your Shoes – We have helped plenty of members in the local community select the perfect used car, truck, or SUV. Take a few minutes to read over testimonials from previous satisfied clients and learn why numerous buyers choose North End Motors for their next vehicle. Armed with this advantageous information and the expertise of our automotive professionals, you are prepared to drive away in the pre-owned vehicle matching your wish list and budget. 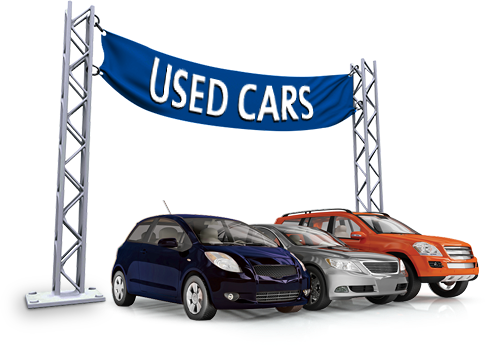 Give North End Motors a call at 781-209-6762 to begin your used car buying search in the ready position.